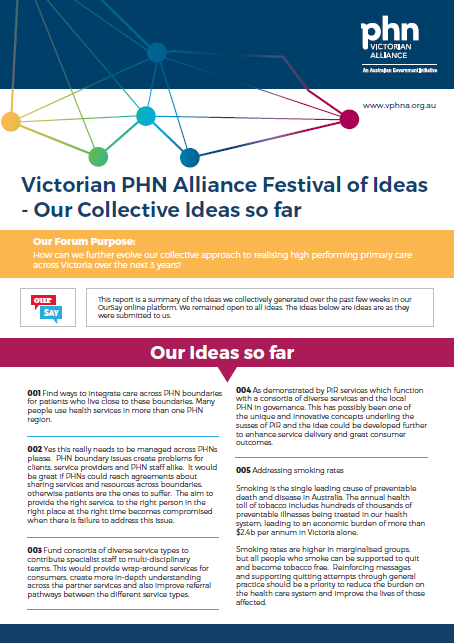 The Victorian and Tasmanian PHN Alliance hosted a Festival of Ideas to explore innovative ideas of strategic significance that will realise a high performing primary care system in Victoria. 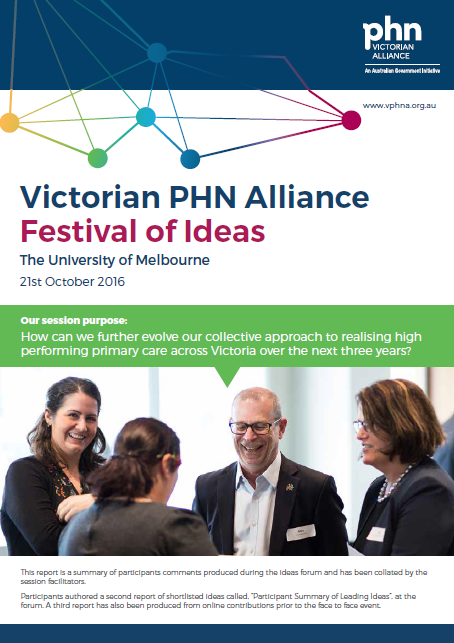 How can we further evolve our collective approach to realising high performing primary care across Victoria over the next 3 years? 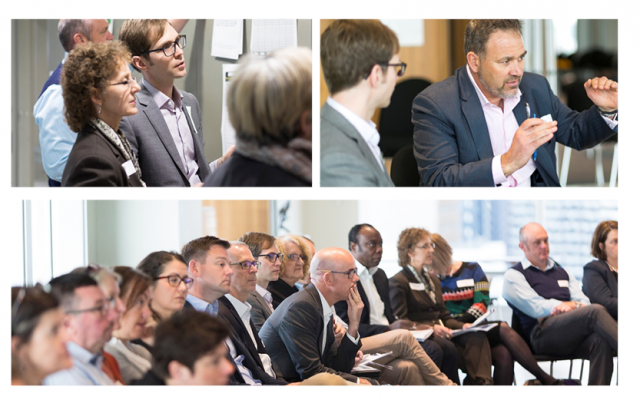 An online deliberative process was hosted using the ‘Oursay’ platform in the lead up to the event. This elicited over 30 initial ideas and sparked some early debate among stakeholders. The outputs of which formed the basis for discussion at the Festival of Ideas. Download the initial ideas collected through the online deliberative process. These are presented as posed and described by partners. Establish a primary health outcomes framework mechanisms for measuring progress and change. Lead efforts in support of stratified risk assessment and management. Support the community and system transition to consumer directed care. Support strategy for information management and technology. Download a summary of the process and outcomes. These ideas are being further defined by the VTPHNA and with nominated lead partners. These ideas will be converted into a resource for collective action, joint working with stakeholder and partners, and positive change.